Catalyst's first earthbag residence is about ready to go vertical. 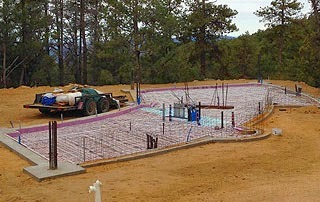 All of the foundations have been poured, and the tubing for the in-floor radiant heating has been laid. Once the slab is poured, the earth bags will start to be set around the perimeter of the building. It should be fun to watch it go up! Click here to learn more about earth bag construction.